Say how many people are in your family. Talk about where people are from. Give information about yourself and your family. You can download a zip file of these MP3s hereYour teacher will also have a transcript of the files. 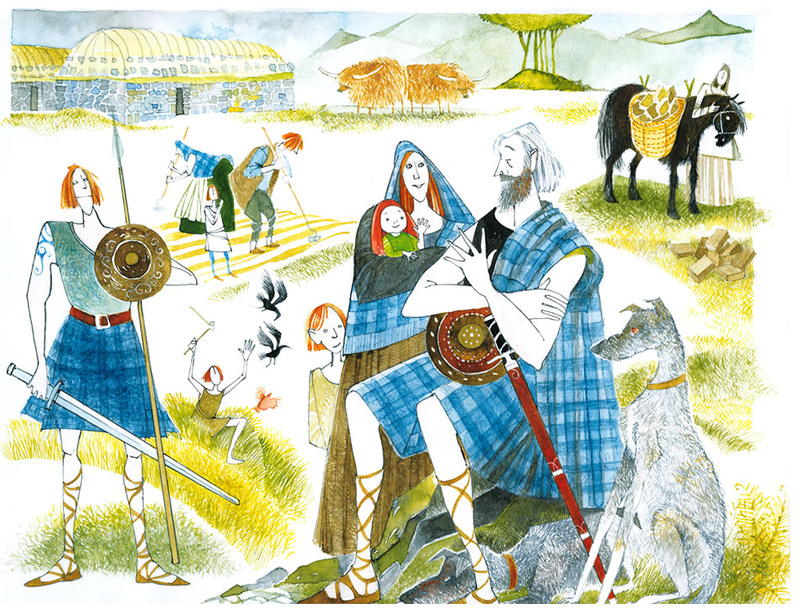 The English word ‘Clan’ comes from the Gaelic word Clann (children ). However, in Gaelic a clan is known as a cinneadh. 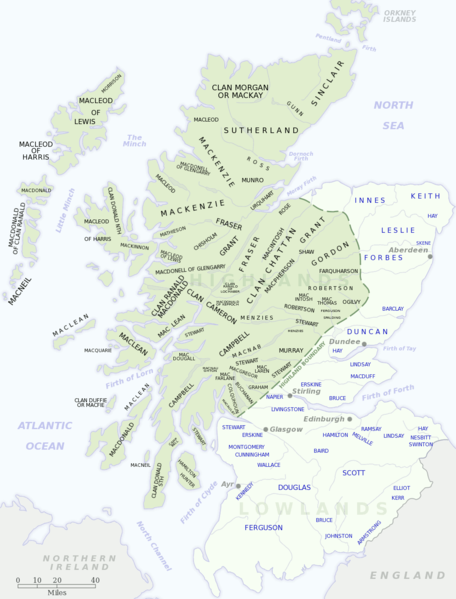 This Trìbal system has given many Scots their surnames, has provided a great deal of family pride, and produced a fierce sense of belonging which still exists to this day. Although hundreds of years have passed since the clan system was active, many people – especially the descendants of Scottish emigrants – regard membership of a clan as a vital part of their Scottish heritage. In the past, each cinneadh would have belonged to a particular area or areas of Scotland – this was seen as their territory. They were ruled over and looked after by their own clan chief – or ceann-cinnidh. When a ceann-cinnidh died, one of his sons would inherit his title and continue as head of the clan. Although some people believe that everyone in a clan was originally related to one another, the majority of clansmen were not in fact blood relations of the ceann-cinnidh. They would simply be people who lived locally and looked to him for leadership and protection. The ceann-cinnidh would have been like a father figure to his clansfolk. He would make sure that people had enough suitable land that would enable them to provide for their family. Clansfolk did not have to pay money to their ceann-cinnidh, but in return for their land and protection, they were fiercely loyal to him and would be ready to fight any battles he wanted them to. Clan members would also probably take a turn working on the ceann-cinnidh’s land and would bring him gifts of food and provisions, some of which would be put into store and given to the needy in times of hardship. It was a fair system that worked well for everyone concerned. However, King James VI and his governments in Edinburgh and London, disliked and feared the clan system because they saw it as a threat to their rule and to their plans to join England and Scotland together. The King wanted to control the clans and make them swear allegiance to him and not to their chiefs. Neither the clans nor their chiefs were interested in being ruled by a King with whom they had no ties. In 1609, King James Trìcked the chiefs and forced them to agree to a list of new laws that would bring them and their clansfolk to heel. Before too long, he had the result that he wanted; the whole clan structure began to fall to pieces and the steady erosion of the language and culture of the Gael commenced. 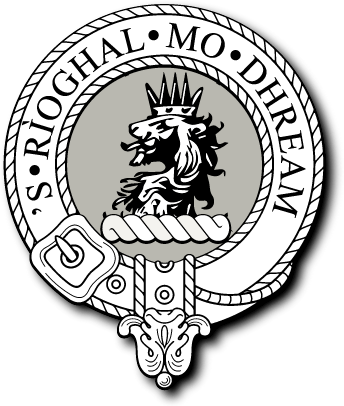 Nowadays, although the clan system is long since gone, each clan still has a chief (in name only) but seldom will they have a Scottish accent – let alone the ablity to speak any Gaelic. • Tagh cinneadh anns a bheil ùidh agad. 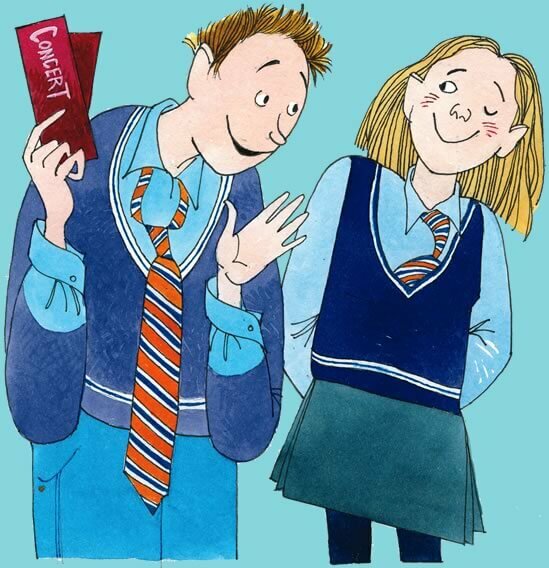 • Cruinnich nas urrainn dhut de fhiosrachadh mu dheidhinn. • Cuir am fiosrachadh agad ri chèile ann an dòigh tharraingeach. Look at this Runrig video. The song is called "Proterra" and is the title track of the album. Do some research to find out what this name refers to.